The country’s two major equity trading exchanges have new plans for derivatives trading in agricultural commodities. Last October, the BSE and the National Stock Exchange (NSE) had entered the commodity derivatives space. BSE has launched futures trade in cotton and guar seed/gum. It has now proposed to the regulator that it be allowed to begin futures trade in turmeric and castor seed. And, the NSE is now prepared to launch a few agri segment contracts “in commodities not currently traded on any of the futures exchanges in India” said its spokesperson, while declining to name these products. It is yet to approach the regulator, Securities and Exchange Board of India (Sebi). 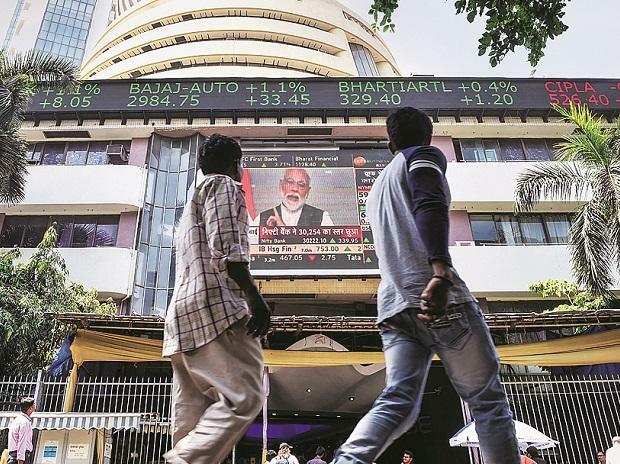 Sources believe NSE is thinking of commodities in which such trade was earlier allowed but then stopped by the regulator, such as in tur (red gram), urad (black gram) and potato. At present, gold, silver and crude oil are traded on the NSE commodity derivatives platform. The National Commodities and Derivatives Exchange (NCDEX) is leader in agri commodities’ derivatives trading. Multi Commodity Exchange (MCX) and Indian Commodity Exchange have a presence in some commodities. Castor contracts are 15-20 per cent of NCDEX’s volumes. Turmeric derivatives do not have significant volume. In the past two months, BSE’s derivative trade volumes in agri commodities are higher than its non-agri segment. NSE, interestingly, has had a 15 per cent equity stake in NCDEX since the latter’s inception. It would apparently launch contracts in commodities not traded on NCDEX. As a leading agri exchange, the latter has a good mechanism for delivery and a repository. For deliverable commodities, a trading contracts exchange has to have a repository tie-up, as warehouse receipts may be issued; a repository keeps a record of every such issue and subsequent transfer. NSE doesn’t have a repository. BSE’s subsidiary is a repository where MCX also has a stake. 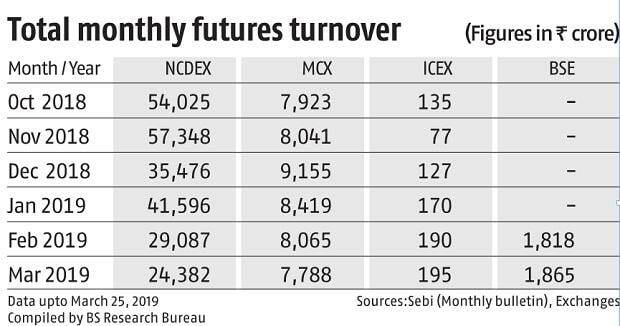 NSE, say sources, plans a tie-up with NCDEX’s own National E-Repository Ltd.
Sebi has allowed exchanges to offer financial incentives for derivatives but for commodities not traded on other exchanges. NSE’s plan for introducing such commodities is expected to be approved.